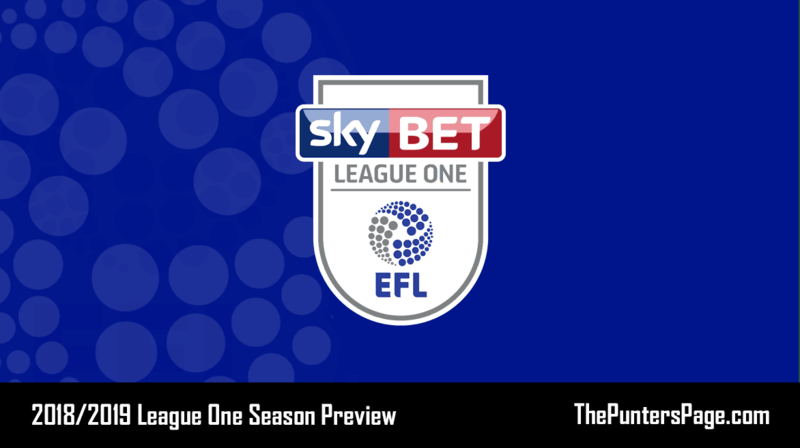 Football League expert Tom Love (@TomLove_18) provides us with an in-depth ante post betting preview of the 2018/2019 League One season with a focus on the outright, relegation and top goalscorer markets and pens his best bets. League One is arguably the toughest to call, not only in terms of promotion, but also relegation. I’ll be looking through the betting and picking out a number of bets that look like good value. Even money. That is the best price you can get on Sunderland to be promoted this season, something I couldn’t quite get my head around. They’ve got rid of most of the dead wood that were big earners at the club including the likes of Jack Rodwell, Didier N’dong, John O’Shea, Whabi Khazri and Darren Gibson. They’ve also sold one of their more impressive players from last season in Paddy McNair to Middlesbrough. It must be said, new manager Jack Ross has managed to bring in a number of new faces, although none really spark imagination. 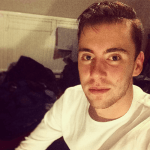 Jon McLaughlin is a decent enough keeper at this level while loan captures of Reece James and Jerome Sinclair could give the side some youthful exuberance, although they do lack experience, something that centre half Glenn Loovens has plenty of, however he does lack pace. Ultimately, I’m happy to rule them out at the skinny prices on offer and I’d be big on laying Sunderland for promotion on the exchange. It’s very uninspiring looking down the list of promotion contenders in a league that looks desperately lacking in quality. We’ve had teams such as Wolves, Bristol City, Sheffield United, Wigan and Blackburn blitz the league in recent years. This year it’s hard to find anyone near that level. One side I think are set up to carry on their good momentum is Luton (13/2). The Hatters tick a lot of boxes. Nathan Jones has implemented his management philosophy within the club after a solid few years in Bedfordshire. They will be on a high after their promotion last season and have a squad capable of doing the same in a league higher. In the transfer market, Jones has brought in one of the League Two stand out performers last season in Jorge Grant on loan from Nottingham Forest. Grant has more than enough quality to make the step up. Sonny Bradley is another excellent capture from Plymouth Argyle. The centre half is at a good age and is a threat from set pieces. There is not much of a step up from League Two to League One which can be seen with the 4 promoted sides in the 16/17 season all staying up last term while two of them in Portsmouth and Plymouth just missed out on the play-offs. Looking down to the relegation market, I’m happy to ignore the 13/10 and 6/4 on Accrington and Wycombe respectively. I think they’re slightly disrespectful prices and both have enough to stay up. The first team that catches my eye is Doncaster (5/1). Darren Ferguson has been replaced with a largely untried manager in Grant McCann. McCann failed to convince the Peterborough hierarchy and was sacked mid-way through last season. It’s always a worry when a team in the same league goes for a manager who’s not good enough for a rival team, and they’ve done little in the summer window to spark optimism in South Yorkshire. They will be relying on marksman John Marquis to do the business because they lack regular goals from elsewhere on the pitch. At the price given, I think there is some juice there considering 4 teams go down in League One. Another side that appeal at a bigger price is Bristol Rovers (7/1). Darrell Clarke has done a phenomenal job to get GAS into a settled League One side after promotion from both the National League and then League Two. However, last season, they struggled defensively and relied on their attacking quality to get them out of trouble. It cannot be underestimated how losing their 3 main attacking outlets in the last couple of windows could affect them. Billy Bodin was the creative hub of this side but he moved to Preston in January, Rory Gaffney has been lured to big spending non-league Salford City and top scorer Ellis Harrison has recently moved to Ipswich. It’s desperately hard to see where the goals are going to come from. I’d expect them to make use of the money made from the Harrison sale to bring in a proven goalscorer but that’s easier said than done. Rumours of a £650k bid for Devante Cole fails to inspire. It could be a step back for the pirates this season. As a Bradford City fan, I’m naturally a pessimist. However, I was surprised to see my beloved Bantams chalked up at odds-against quotes for a top half finish. Pre-season hasn’t gone fully to plan and there’s still a cloud over the future of Charlie Wyke. Despite this, the summer recruitment drive has drawn admiring glances from most. Jack Payne has the potential to be one of the stars of the division and there’s plenty of options all over the park. Sean Scannell has played at a higher level all his career and still has plenty to offer out wide. There’s strong options at the back and there’s enough strength in depth and versatility to alter formations. It’s possible that the bookies have seen an untested manager in Michael Collins at the helm, however it’s not all it seems. Greg Abbott and Martin Drury join Collins as a coaching squad trio. Abbott is vastly experienced and has managed the likes of Carlisle at this level. That would be the worry, but the calibre of player at the club is probably top 6 material, and in a poor looking league it should make things easier. Maybe the price has been affected by the ante post betting patterns. According to Oddschecker, Bradford come second for volume of bets in the relegation market with 15%, just behind Sunderland of all teams. 11/10 for a top half finish looks a nice alternative play. One player stands out like a sore thumb in this market and that is Brett Pitman of Portsmouth. He’s the main man for the South coast club and Kenny Jackett makes sure his side play to Pitman’s strengths. The former Ipswich man scored 24 goals last season, averaging better than a goal every other game. He is a player who can score all types of goals, headers, tap ins, shots from range. He’s a clever striker and always manages to create space for himself – that trait along with a knack of being in the right place the right time as well as being the penalty taker makes him the ultimate goalscorer. He’s the market favourite and that’s totally justifiable. Most firms go 8/1 and I still think that’s value price. Scrolling down the market, I also like the look of Billy Kee (33/1) as an each way bet with bookmakers paying out four places at 1/4 the odds. Kee starred as Accrington’s main man in their hugely impressive promotion season last time out scoring 25 goals for the Reds. John Coleman knows how to get the best out of the talented forward. He’s comfortable in Lancashire and that’s important. One thing I look at in this market is players that take penalties for their club – it usually adds at least 5 goals on to their original tally and Kee is trusted with that duty. 33/1 for a player that was joint top scorer last season, albeit in a league below, is just too big to ignore.